King's Lynn lies at the mouth of the River Great Ouse just south of its confluence with The Wash. Historically, King's Lynn was one of England's most important ports - trading with countries through out the world. As well as literary figures, it was also the home of George Vancouver who claimed British Columbia in the name of the English Crown. Margery Kempe was born in King's Lynn and was the daughter of John Brunham who was once the Lord Mayor. During her lifetime she went on many pilgrimages - both in the UK and on the continent - and even visited Rome, Santiago de Compostela and Jerusalem. The Book of Margery Kempe is a record of her spiritual journey and was dictated some time during the 1420s - as she could neither read nor write. The manuscript of the book was discovered in 1934 at Pleasington Hall in Lancashire. It is now regarded as the first ever autobiography written by a woman. Margery was originally married to John Kempe and gave birth to 14 children. However, she gave up married life - took a vow of chastity and dedicated her life to God. She was frequently overcome by weeping during her prayers inside St. Margaret's - which disturbed other worshippers. St. Margaret's is one of the largest churches in the country. It was founded in 1101 and partially rebuilt in 1741 after the spire collapsed onto the knave during a storm. Like Julian, Margery was a mystic but the two women were very different in their spiritual approach - one travelling widely - the other remaining in her cell by the River Wensum. 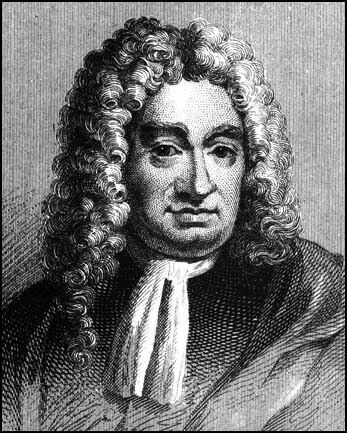 In his A Tour Through the Whole Island of Great Britain Daniel Defoe was hugely impressed by King's Lynn preferring it, in many ways, to both Norwich and Yarmouth. There are also a number of 'Robinson Crusos' (without the 'e') buried in St. Nicholas' Chapel in King's Lynn. However they all post date Robinson Crusoe which was published in 1719. Nevertheless, it is fascinating to ponder whether Defoe may have been familiar with the family and used the name when he was writing his famous novel. Defoe certainly visited the town in 1724 - and he was well aware of King's Lynn's rich maritime history. St. Nicholas' is England's largest surviving Parochial Chapel and its 15th century wooden roof features a magnificent series of carved angels. See also Great Yarmouth and Winterton. 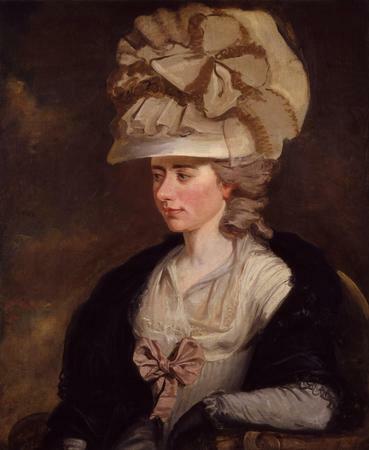 The novelist and diarist was born in King's Lynn - possibly at 84, High Street - but when she was young her family moved to London where she grew up amongst the capital's literary set - mixing with the likes of Dr Johnson, Joshua Reynolds and Edmund Burke. At the age of 25 she wrote a successful novel entitled Evelina. This was followed by Cecilia (1782) and Camilla (1796). In 1793, she married General d'Arblay - a French refugee in England. This East Anglian based poet (who was born in Africa) wrote a memorable poem about Lynn - referring to it as 'This town that history could have made a city'. Fluttering heraldic in the north-east wind. Of civic splendour in the years of grace. For pennants fluttering in the north-east wind. King's Lynn has also been immortalised by the works of the painter William Dexter (1878-1958). He was trained at Birmingham School of Art and lived for a time in a converted fishing boat on the River Nar. He was killed by a motorcycle while crossing the Saturday Market Place.